Detours provides storage-friendly options for bikers, and the Georgetown Dry Pannier is no exception. From the speed-demon roadie to the adventurous mountain-bike commuter, Detours’ Georgetown Pannier, with water-proof materials, roomy interior and easy-to-close flaps is an ideal storage option for all-weather excursions. Buckle up your helmet and batten down your latches, because this seam-sealed Pannier is ready to travel. In lunch-box styled fashion with a roll-top closure and soft interior base, I made good-use of the space. The Georgetown Dry will hold up to 22 pounds in this main compartment. Lunch, wind-breaker and bike-safety essentials tuck nicely inside and I appreciate the four-defined edges along the bag, allowing the Georgetown to hold its shape when full. Dual bands are sewn inside, perfect for holding a thermos of soup on cold days, or a bottle of wine on impromptu picnics. 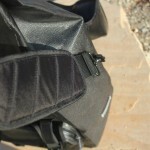 Also inside is a zipped pocket, where I place all-the-time necessities like maps, snacks and sunblock. Front pocket on the Georgetown protects your gear and makes it accessible. zipped-pocket, because the Georgetown has TPU-coated water-proof flaps to ward off moisture and precipitous downfall. 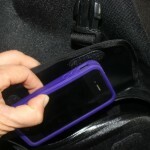 Another trouble-free feature in this front pocket is the sewn-in key ring. I like this fob because I know my keys won’t fall to the ground while I’m searching for my bike gloves. For the eco-friendly bike-to-work commuters, iPads and work clothes may be easily carried in the sack. Detours’ Georgetown Dry comes with an adjustable, detachable, padded shoulder strap, permitting hands-free peer greetings and fumble-free access to workroom doors and alarms. 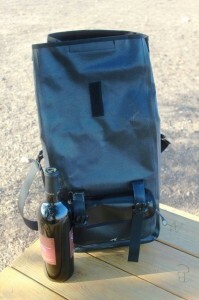 This singular pannier pack fastens to most rear bike racks with Detours Four-Point attachment system. Straps are elastic, durable and adjustable and we feel confident the Georgetown Dry wouldn’t jostle about on nearby bumpy streets anytime soon. Like the Georgetown area of Seattle, Washington, this Georgetown bag is ready for inclement weather, as well as a fitl-journeyed bicyclist and very much whets my sights for extended biking treks abroad. Shoulder strap allows the Georgetown to do double duty as an attache case. 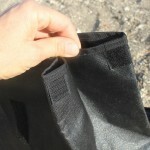 Velcro closure tabs help keep gear secure. Back panel shows attachment points.